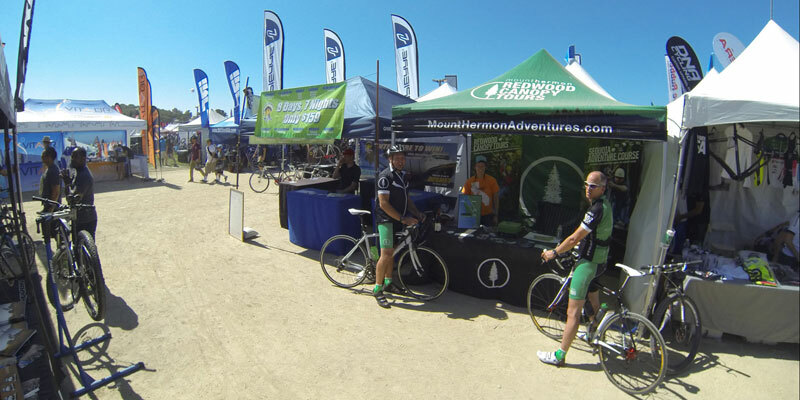 A few weeks ago Mount Hermon Adventures and the Adventures Race Team took part in the Sea Otter Classic and the Grand Fondo event kicking off the summer riding season. The Sea Otter Classic is the largest bike festival and race series in North America with hundreds of racers and thousands of spectators. 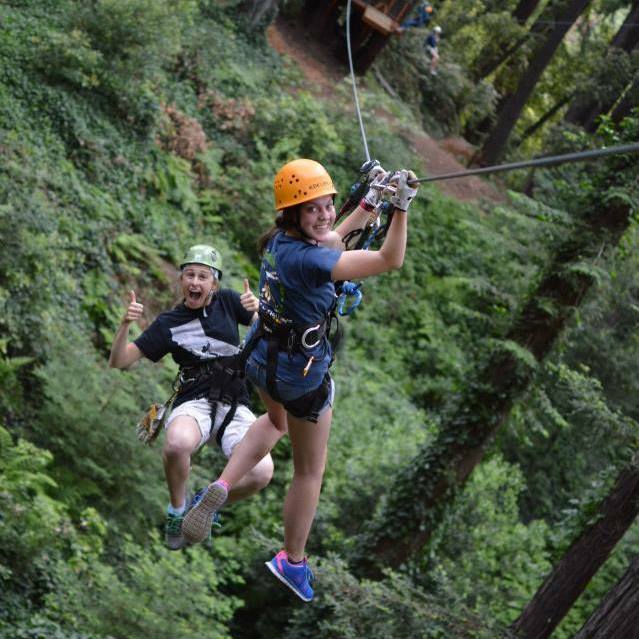 Mount Hermon was in the thick of it hosting a booth and spreading the good news of adventure, sharing the story of Mount Hermon. One of the biggest points of interest at the booth was the plans for the bike park features on our new property. Word is spreading quickly among both industry folks and the public: and everyone is excited. We were able to have meetings and connect with Alpine Bike Parks, the International Mountain Bike Association, and others building bike facilities in California. At 6:30am there was still a chill in the air, but a warm breeze soon pushed over the hills and across the valley. As the sun crested the hill and glinted off the helmets of 2000 cyclists the announcer signaled the start of the Grand Fondo at the Sea Otter Classic. 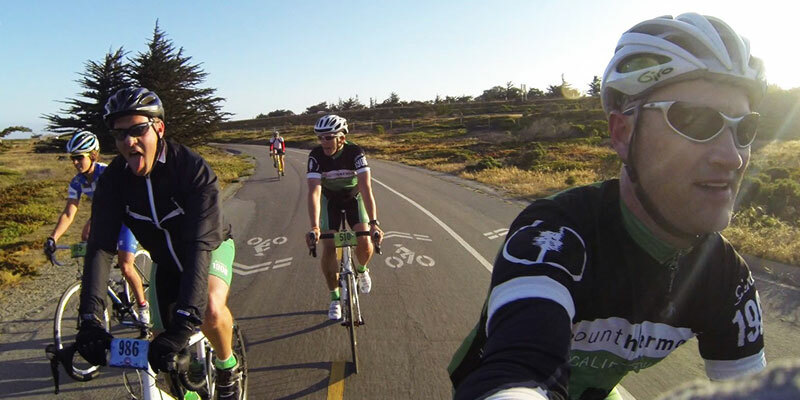 Riders rolled forward in a symphony of clicking and smiles carving through the turns of Laguna Seca Race Track before climbing out of the basin and embarking on either a 50 or 100 mile ride. 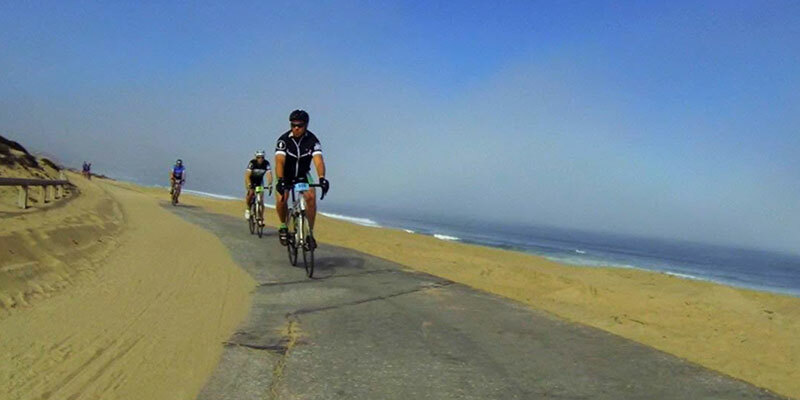 It’s the second year we’ve participated in this event that traces the beautiful Monterey coastline down to Carmel and back. There is, of course, a long brutal climb at the finish, but it’s still a ride not to be missed.